The (ill) health effects of choline and its pre-cursor l-carnitine in animal products like eggs or (red) meats are probably mediated by a diet devoid of prebiotics... however, simply pounding more resistant starches, for example, seems to do more harm than good. If you have been following the SuppVersity News on Facebook (a must, btw ;-)), you will be aware of the "TMAO"-issue. If not, here's the gist: The ingestion of certain dietary nutrients - primarily choline, phosphatidylcholine, and its precursor l-carnitine can serve as a precursor for the ultimate generation of an atherogenic metabolite, trimethylamine N-oxide (TMAO). TMAO, in turn, has been linked to all sorts of diseases, most prominently cardiovascular disease and the formation of atherosclerotic plaque. Is Laziness Built Into 'ur Genes? Very high levels of TMAO can trigger a disease that is known as "Fish-Odor-Syndrome" (check out Messenger et al. 2013 for a free review). Whether or not you stink when you consume high amounts of choline depends on (a) your genes and hence ability to metabolize and excrete TMA, the unoxidized fish-reeking precursor to TMAO, and (b) your dietary choline intake. Unfortunately, ill effects on your cardio-metabolic health have been observed in the absence of a flawed "flavin monooxygenase 3"-gene, and in spite of a flawless TMA metabolism. Hence, you may be at risk, even if you don't reek of rancid fish. After all, it's the TMA, not the TMAO that causes the unwanted body odor, and the latter, i.e. trimethylamine n-oxide (TMAO), are the ones that have been linked to cardiovascular and cardio-metabolic disease (CVD, CVMD) in multiple observational studies. What can you do to reduce your TMAO levels? The best proven way to keep the concentration of this potentially toxic molecule in check is a reduction of the intake in choline/or choline-forming nutrients - especially carnitines. Still in the development pipeline are nonlethal small-molecule inhibitors, or drugs that block the second step in the pathway, the major host gene responsible for converting microbe-generated TMA into TMAO, flavin monooxygenase 3. Moreover, only recently, Roberts et al. 2018 presented the first microbiome-modulating "nonlethal therapeutic to inhibit thrombosis potential". As of now, it is yet not clear if simply keeping a healthy intestinal ecosystem (by, among other things, consuming enough dietary fiber) won't yield the same results, anyway. 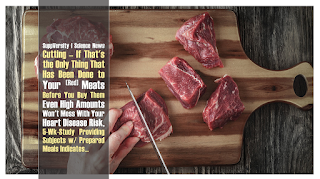 This research lead many (but not all scientists) to postulate that the commonly observed links between meat consumption and cardiovascular disease could eventually be a function of the interaction of the high amount of dietary carnitine/choline with a dysbiotic microbiome... a hypothesis that is in line with isotope tracer studies in mice and (wo)men which prove the version of carnitine to choline and choline to to TMA and eventually TMAO, which has in turn been shown to promote the formation of atherosclerosis in murine models of the disease (Koeth 2014 | see Figure 2). 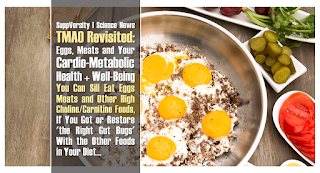 Moreover, parallel clinical studies in humans confirm the existence of a link between meat/carnitine intake and the risk of heart disease - a link that seems to be modulated by elevated TMAO levels in the egg/meat eaters. One thing we still don't fully understand is why fish is the exception to the rule: Fish is by far the worst offender when it comes to elevations in serum TMAO after a meal (Cho 2006) - with levels being ∼50 times higher than you'd see for comparable egg- or beef-based meals. The reason why it's still a high egg- and meat-intake, not the amount of fish people are eating that has been linked to cardio-metabolic disease in large-scale epidemiological trials is still not clear. Especially in view of the fact that rodent studies seem to suggest that TMAO-supplemented diets seem to exert the same ill health effects that have been described in the previously mentioned observational trials in Western-diet-style, this seems to be odd, since pork w/ only 23mg/g TMAO should be healthier than cod w/ 1335 mg/g (Table 1). It would appear prudent, however, to assume that (a) the co-ingestion of other nutrients in fish (such as taurine | see "Taurine Boosts Good Gut Bacteria" in the archives) and/or (b) the absence of general dysbiotic effects of increased fish consumption (and hence overall increases in TMAO exposure from choline sources) are at the heart of the cardio- and metabo-protective effects of fish (note: Saltwater fish contain ∼3 g/kg TMAO - the highest levels of all food sources | Mitchell 2002). Higher carnitine levels, alone (see the light and dark blue lines of the Kaplan-Meyer plots at the top of Figure 3), have no effect on one's cardiovascular disease risk. In fact, the subjects in the high carnitine + low TMAO group (light blue) had the highest event-free survival of all groups. 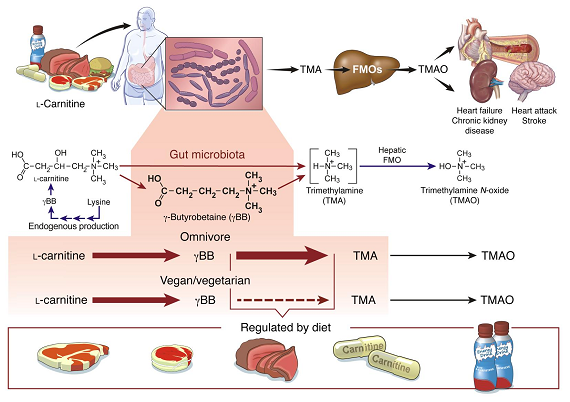 In the absence of a TMA-producing microbiome, on the other hand, both beneficial effects on cardiovascular risk factors and metabolic syndrome have been observed in response to l-carnitine supplementation (Johri 2014). As Tang & Hazen (2014) point out, the contemporary available evidence does, therefore, seem to confirm an "obligatory role of intestinal microbiota in the generation of TMAO from multiple dietary nutrients, and TMAO as the proatherogenic species likely promoting the striking associations noted between plasma levels and both prevalent and incident CVD risks" (Tang & Hazen 2014) - Important: the simple provision of allegedly health(ier) probiotic mixes (e.g. #VSL3 fails to re-establish a non-TMA promoting microbial composition | Boutagy 2015). I am pretty sure that other agents of which we already know that they promote heart health and have antimicrobial effects (green tea comes to mind) will soon show up on the "anti-TMAO" supplement list. You may have to avoid choline and carnitine containing foods for the time being, if... you have a carnitine challenge test which shows that your current microbiome favors the conversion of choline and choline-sources such as carnitine in red meat and other (mostly) animal sources to TMA, which is then oxidized to TMAO once it passes the liver and into your bloodstream. Figures 4 & 5: In young, healthy men, Cho et al. 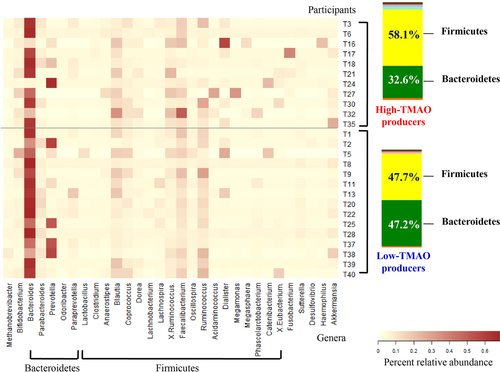 (2016) showed quite conclusively that the effects of eggs and meat on TMAO levels is a function of their initial microbial composition (Figure 5). With high TMAO responders being characterized by enriched ratios of Firmicutes to Bacteroidetes, and a reduced microbial diversity, the solution to keep eating eggs and meat may well be as easy as consuming them with plenty of fibrous and pre-biotic foods, which, in contrast to the average low-fiber omnivore diet, will leave your bacterial composition intact and hence the concentration of TMAO producing bacteria in check. In that, it's noteworthy that the effects of fiber may depend on fiber type and baseline diet with initial evidence suggesting ill effects for healthy men and women if increased amounts of resistant starch are consumed in the context of a lower carb + high(er) fat diet (>40% fat) but not as part of a higher car, low(er) fat for two weeks (<23% fat) diet (Bergeron et al 2016). If you cannot do the test, you may be interested to hear that Wu's 2018 paper in the BMJ's Gut, suggests that the average omnivore is 10-fold(!) more likely to exhibit this problematic pattern than a vegan/(lacto/ovo)vegetarian peer - interestingly, among the non-omnivore subjects, the comparatively small carnitine/choline-precursor exposure from e.g. dairy or eggs did not predict an increased TMAO exposure. The lack of correlation between (low-ish) carnitine/choline intakes and serum TMAO levels emphasizes that it's probably not the carnitine itself that induces the increased ratio of firmicutes to bacteroidetes and an overall reduction in gut microbiota diversity which is distinctive of high TMAO producers (both observed in healthy young men by Cho et al. 2006). With a very recent study showing that low-carbohydrate but high resistant-starch diets promote, not reduce the formation of TMAO in fifty-two men and women (Bergeron 2016), if the subjects consume a high(er) fat diet (>40% vs. <23% fat) it should be obvious, though, that future studies will have to quantify the appropriate amount and type of fermentable fiber that's necessary to mitigate the ill effects of both, high and low-carb diets, on the uwanted TMAO-boosting effects of meats, eggs, and other dietary sources of choline and its precursor. While we are waiting for the corresponding data to emerge, it's reasonable to assume that people who have been following a (non-strict) "paleo-esque" diet, all along, will have consumed more than enough fruits, veggies, and legumes to maintain a non-TMAO promoting microbiome and shouldn't be at risk of any TMAO-mediated cardio-metabolic health impairments due to eggs or (unprocessed) red meats. Initial evidence to support this hypothesis and the notion that the amount and type of dietary fiber are the main determinants of (critical) serum TMAO levels comes from a recent study in Obesity, which is the first to demonstrate that the significant reductions in TMAO researchers from Spain (Leal-Witt 2018) observed in obese adolescents in response to a lifestyle intervention correlated with the subjects' increase in fiber intake from fruits, vegetables, and legumes and occurred in the absence of significant reductions in choline(-precursor) intake | Leave a comment! Annunziata, Giuseppe, et al. "Effects of Grape Pomace Polyphenolic Extract (Taurisolo®) in Reducing TMAO Serum Levels in Humans: Preliminary Results from a Randomized, Placebo-Controlled, Cross-Over Study." Nutrients 11.1 (2019): 139. Bergeron, Nathalie, et al. "Diets high in resistant starch increase plasma levels of trimethylamine-N-oxide, a gut microbiome metabolite associated with CVD risk." British Journal of Nutrition 116.12 (2016): 2020-2029. Boutagy, Nabil E., et al. 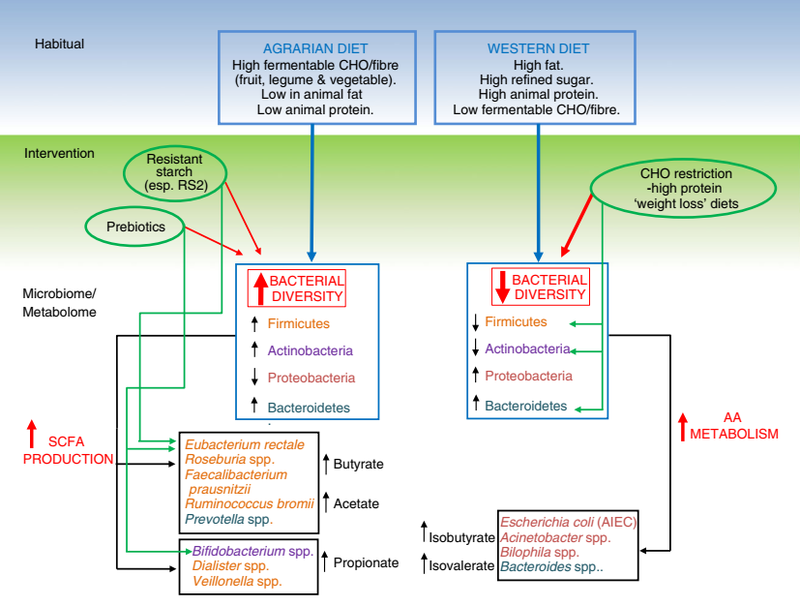 "Probiotic supplementation and trimethylamine‐N‐oxide production following a high‐fat diet." Obesity 23.12 (2015): 2357-2363. Koeth, Robert A., et al. "Intestinal microbiota metabolism of L-carnitine, a nutrient in red meat, promotes atherosclerosis." Nature medicine 19.5 (2013): 576. Koeth, Robert A., et al. 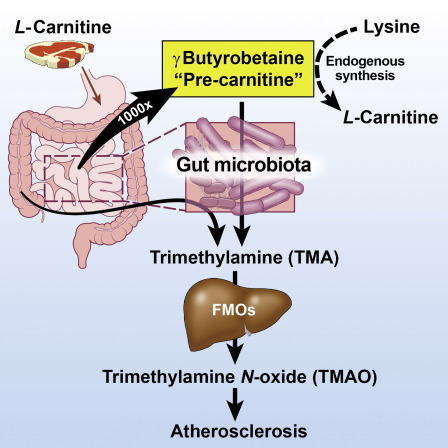 "γ-Butyrobetaine is a proatherogenic intermediate in gut microbial metabolism of L-carnitine to TMAO." Cell metabolism 20.5 (2014): 799-812. Koeth, Robert A., et al. "L-Carnitine in omnivorous diets induces an atherogenic gut microbial pathway in humans." Journal of Clinical Investigation (2018): 10-1172. Leal‐Witt, María J., et al. "Lifestyle Intervention Decreases Urine Trimethylamine N‐Oxide Levels in Prepubertal Children with Obesity." Obesity 26.10 (2018): 1603-1610. Messenger, Jeffrey, et al. "A review of trimethylaminuria:(fish odor syndrome)." The Journal of clinical and aesthetic dermatology 6.11 (2013): 45. Mitchell, S. C., A. Q. Zhang, and R. L. Smith. 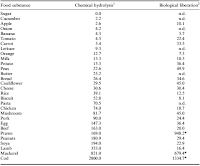 "Chemical and biological liberation of trimethylamine from foods." 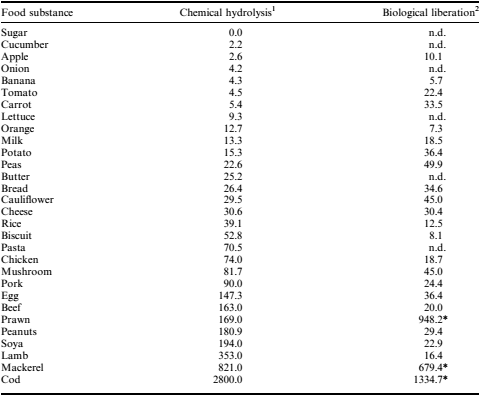 Journal of Food Composition and Analysis 15.3 (2002): 277-282. Roberts, Adam B., et al. "Development of a gut microbe–targeted nonlethal therapeutic to inhibit thrombosis potential." Nature medicine 24.9 (2018): 1407. Shang, Ruiping, Zhiqi Sun, and Hui Li. "Effective dosing of L-carnitine in the secondary prevention of cardiovascular disease: a systematic review and meta-analysis." BMC cardiovascular disorders 14.1 (2014): 88. Simpson, Hannah Louise, and Barry J. Campbell. 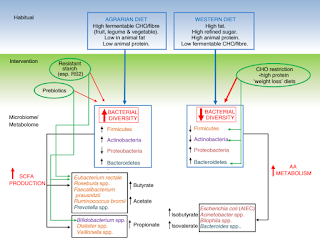 "dietary fibre–microbiota interactions." Alimentary pharmacology & therapeutics 42.2 (2015): 158-179. Tang, WH Wilson, and Stanley L. Hazen. "The contributory role of gut microbiota in cardiovascular disease." 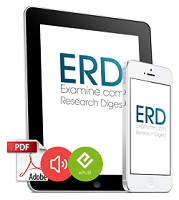 The Journal of clinical investigation 124.10 (2014): 4204-4211. Tenore, Gian Carlo, et al. "Lactofermented Annurca Apple Puree as a Functional Food Indicated for the Control of Plasma Lipid and Oxidative Amine Levels: Results from a Randomised Clinical Trial." Nutrients 11.1 (2019): 122.